When it comes to skincare, I'm probably the laziest beauty blogger you'll ever meet... I either completely forget to moisturize, or just don't have the time or can't be bothered haha. So this product is literally a Godsend for me. Not to mention, its perfect for a lazy day "no make up" make up look! The product is described as a tinted face gel. granted there are plenty of these products on the market, but the formula of this one is not like anything I've tried before and you'll be pretty hard pressed to find one like it. It is quite thin and runny as expected when you first squeeze out the pump, but as you start to blend you can literally see the clear H20 bubbles appear (refer to swatch photo above where you can just about see these liquid bubbles). Yes, I know... I'm easily amused! 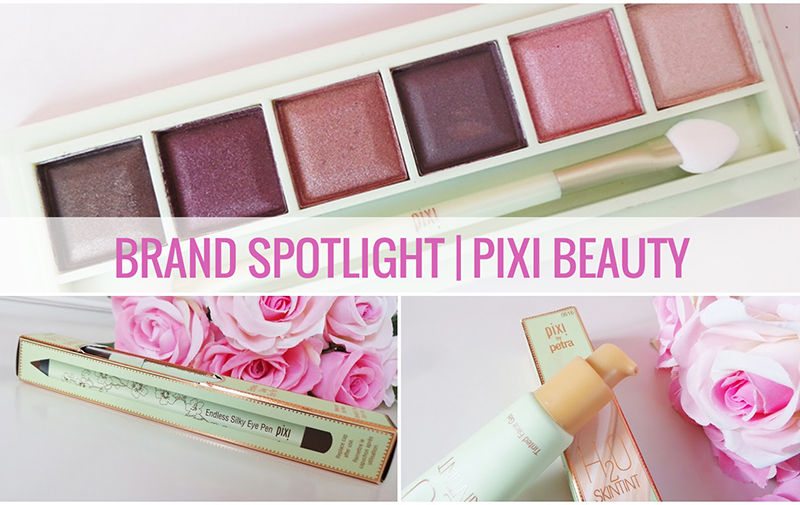 I mentioned that the PIXI products contain beneficial ingredients, so here goes; Green Tea - provides anti-oxidants, Rose Water - moisturises, English Chamomile & Lavender - soothes and relaxes. It is paraben and fragrance free so it is even suitable for sensitive skin! The product leaves my skin feeling soft, smooth, refreshed, and quenched (if you can even use that word to describe skin?... You get my jist). If you're skin is looking a bit tired and thirsty looking, or just needs a little pick me up, I would highly recommend this quick and easy to use product! I've seen Pixi but never tried it before. This sounds like such a unique product! Thanks for sharing. Hi,Just came across to ur Blog. it’s lovely. I’m following u. recently I have started my blog n I’m quite new at blogging world. I wld be glad if u do visit my blog nd show love by following me. It wld be ur kind appreciation. Hav a nice day…Xoxo. Great products, this brand has such nice things ! You look amazing. Great product.